YANA sure appreciates 10 year old Feodor. 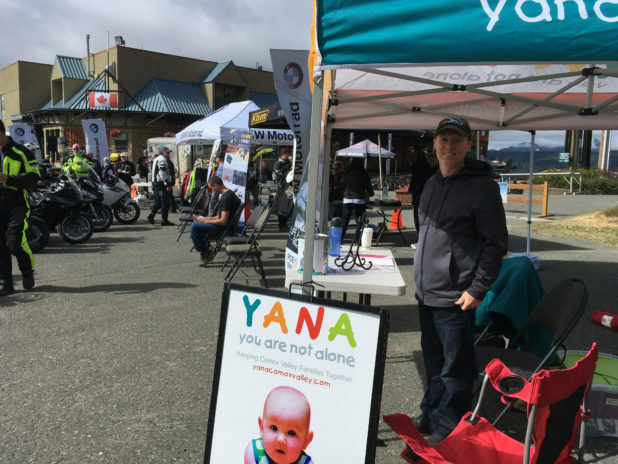 While visiting his grandma in the Comox Valley he learned about YANA, and asked his grandma to take him into the bank. He decided to take out his own money for a YANA donation. We think kids giving to kids is so fantastic! Lucia turned eleven and chose to turn her Birthday celebration into a giving opportunity for YANA! We are so lucky for Lucia’s kindness! Big thanks to you, your friends and family. Gratitude sent out to everyone who had fun at Kendrick’s Birthday Bash. We so appreciate that it turned into such a wonderful fundraiser for YANA. Well done Kendrick and guests! 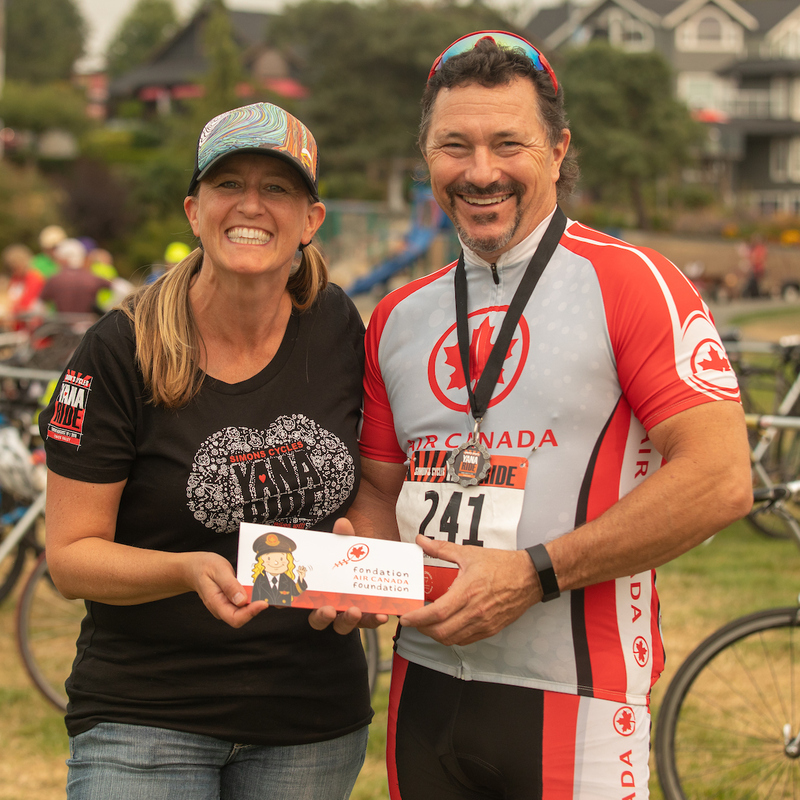 Huge gratitude to our partners at Simon’s Cycles and to each cyclist, volunteer and sponsor who contributed to the Simon’s Cycles YANA Ride. Together we raised $70,000 for YANA families! Sincere thanks to Simon Brampton and Patti Fletcher, recently retired owners of Simon’s Cycles. 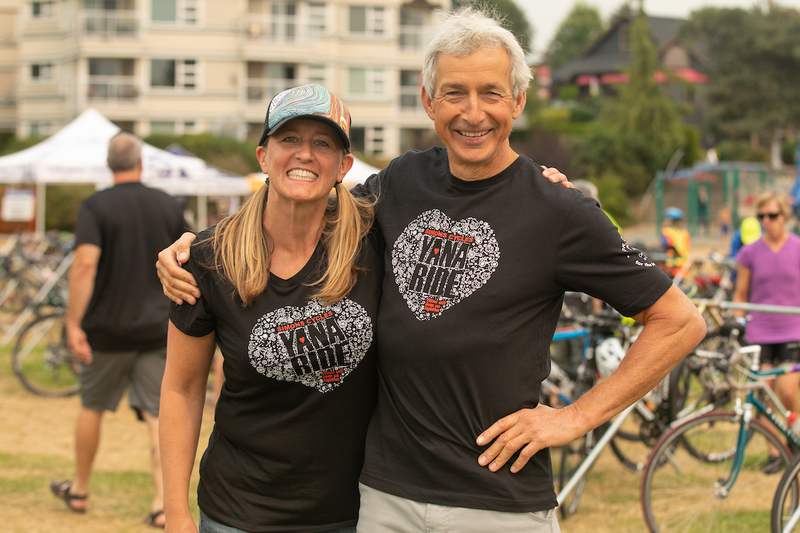 These community-minded bike-lovers came to YANA six years ago interested in co-hosting a cycling event that would bring hundreds of riders together each summer for the love of cycling and the love of community. Over a quarter of a million dollars has been raised since the first Simon’s Cycles YANA Ride and we are incredibly grateful! Dr.Andreas Conradi is committed to caring! Did you know he has been top sponsor for the Simon’s Cycles YANA Ride since 2013? 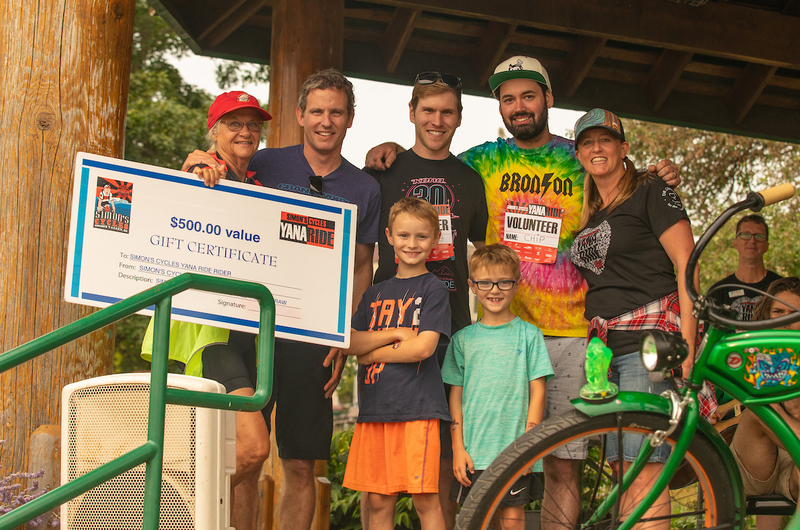 We are very grateful for the generous way in which he shows his love of cycling and his dedication to his community. Thank you! Thank you to the Air Canada Foundation for gifting us two tickets anywhere Air Canada flies. We’re thrilled to be able to offer cyclists who fundraise $100 or more an opportunity to win such a fabulous prize. Special thanks to Air Canada pilot, Steve Dion, who coordinates this gift and congratulations to winner, Peter Donkers! 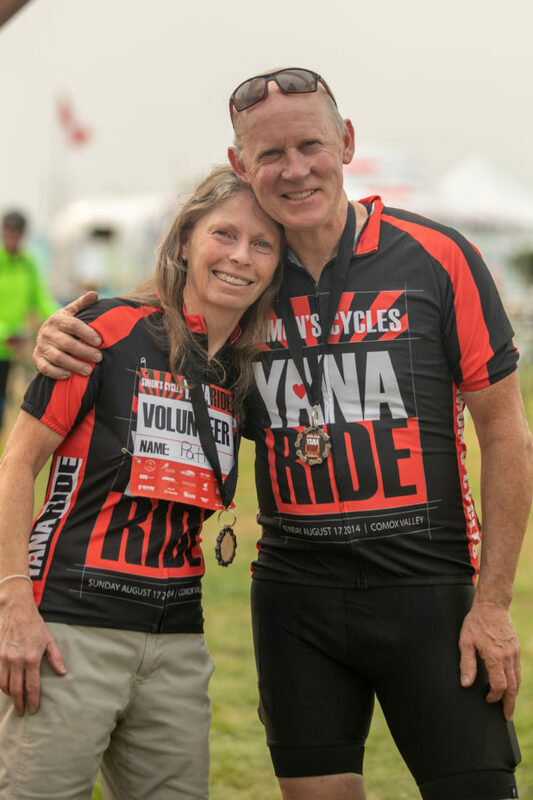 Thank-you to a group of dedicated, hardworking people who have shared hours and hours of time with YANA: the Simon’s Cycles YANA Ride Committee. Sending love, gratitude and relaxing vibes to Ron Arksey, Kate Berg, Marcie Dumais, Patti Fletcher, Jill Grant, Michael Johnson, Alexandra Khan, Deanne McRae, Kelly Rusk, Ashley Smith, Vanessa Vipond and Maureen Wagner. 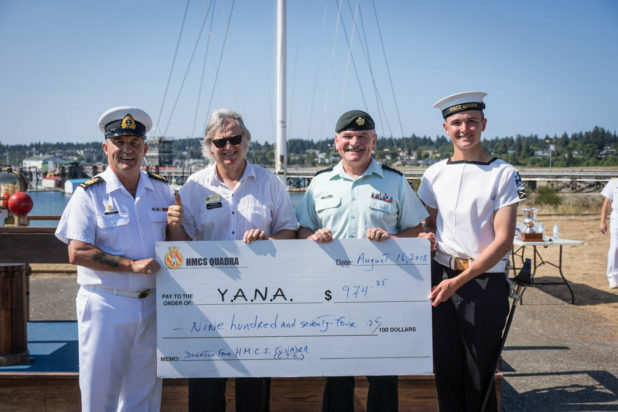 YANA salutes each and every one of the Chiefs from HMCS Quadra and the Ships Company during their YANA days. We are thrilled that you continue to think of us with your fundraising efforts. YANA Board Director, Hugh Mackinnon, attended the graduation along with Chief Petty Officer 1st Class Darrell MacKay – HMCS Quadra Chief Lieutenant Colonel Allan Dengis – Commanding Officer and Cadet Chief Petty Officer 1st Class Elliot Dunbar-Coxswain.